We wrote up the launch of Flamingo in mid-2016, which at the time, was simply another Twitter client of the already solid number of 3rd-party apps for the tweet-sharing service. 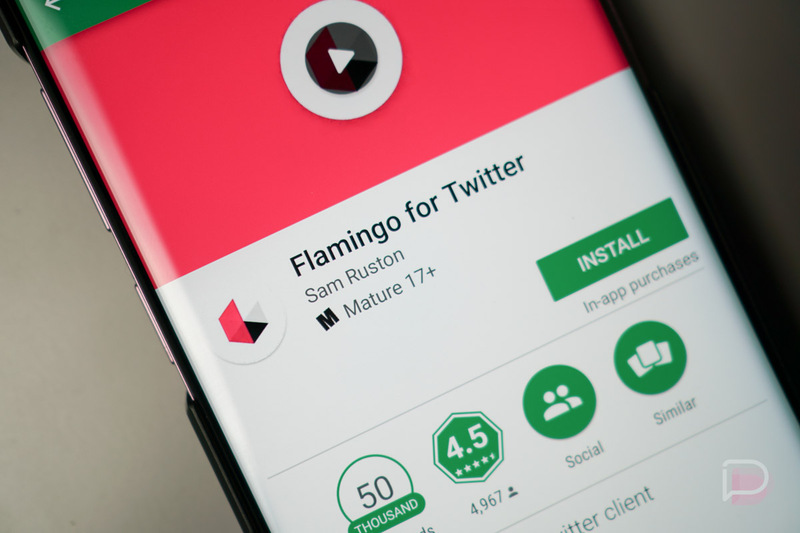 This week, I’m sad to report that Flamingo is near to reaching its allotment of tokens from Twitter, which has forced the developer to remove it from Google Play. You see, Twitter provides a certain amount of tokens to 3rd-party apps. Each token represents a user, essentially placing a user cap on clients. Once those those tokens are exhausted, the 3rd-party services can no longer add users, thereby losing any way to make money, unless they change to a subscription model to get current users paying for the service. This isn’t the first drama we’ve seen involving Twitter’s tokens and it surely won’t be the last. Back in April of 2016, Fenix was having a similar issue, but apparently worked something out with Twitter that granted him the resources to keep Fenix up and running. We’re not entirely sure if Flamingo can do the same thing, but there is always a possibility. On the bright side for those who already installed and used Flamingo, it’s still listed in your Library of apps. That means you can keep using it. Unfortunately, if you never downloaded Flamingo, your opportunity to do so has now vanished. According to a tweet the developer behind Flamingo sent out on April 4, he has no plans for a sequel at this time.